The national chairman of the All Progressives Congress (APC) Adams Oshiomhole, says it will be strange if the ruling party is experiencing “graveyard peace”. 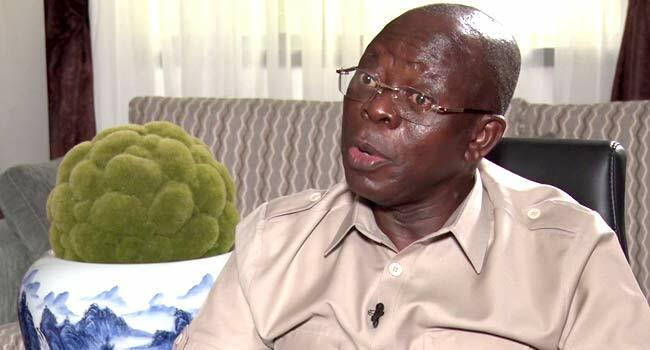 While appearing on Arise Television on Tuesday, Oshiomhole said the APC is prone to controversies because it is a large party. CKN News recalls that the former Edo governor was detained by the Department of State Services (DSS) and grilled for nine hours after some governors alleged that he received bribes during the party’s primary elections across the country. However, the APC chairman said aggrieved members of the party were allowed to grumble but the party has moved on and has put in place internal procedures for reconciliation. His words: “We have finished our primaries and we have submitted names to INEC and there are internal procedures for reconciliation and we are working on them,” he said. When asked whether the party still has plans to remove Senate President Bukola Saraki, he said, “I think it’s about morality. We just had an election in the US. “The Democrats won more members in the Congress. Without much ado, the leadership of the house changed. This question didn’t have to arise.